The YGL-Oyez! 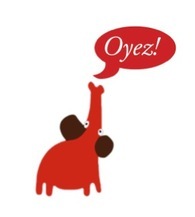 Picture Book Award 2015 is jointly organised by ﻿Yusof Gajah Lingard Literary Agency﻿ (YGL Agency) and Oyez!Books. Oyez!Books is committed to publishing children's books with Malaysian content and to nurturing and encouraging the best talents. The company has a global outlook and their books have been translated into German, Korean, Chinese and Arabic languages.